"Radstehbolzen, 1/2″ Rechtsgewinde 0,568″ Knurl"
Knurl Diameter (in. ): 0.568 in. Underhead Length (in): 2.970 in. Knurl Length (in): 0.710 in. Notes: Fits Speedway Engineering and Pro 4 disc-type applications. 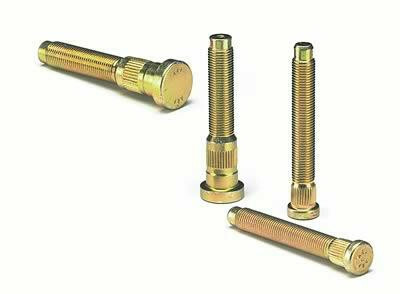 These extra-long ARP wheel studs are designed for today's thick-centered, high-performance and racing wheels. These chromoly steel studs are heat-treated and have a 190,000 psi tensile strength rating.